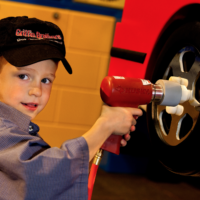 If you’ve never been to Discovery Place Kids-Huntersville, make sure to put it on your to-do list soon. 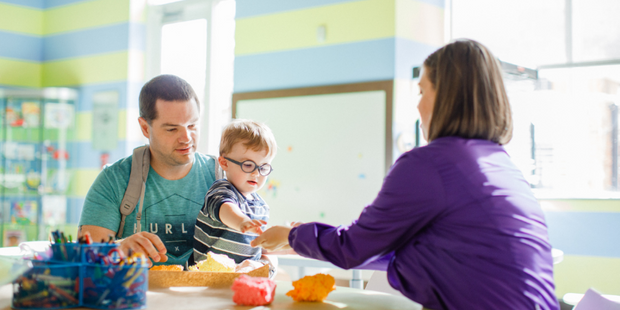 First-time visits to a kids’ museum can feel overwhelming for parents who are unsure of what to expect – both from the facility itself and from the behavior of their children during the visit. We know, and we get it! That’s why this post is just for you. Bring an extra set of clothing for your little one. The Museum’s water table is super popular and, although there are special aprons to help stay dry, we all know when water is involved kids will find a way to get soaked. By bringing along that change of clothes, you won’t have to cut your day short because of a soggy shirt, and you won’t need to fight your kiddos on their desire to dive into water play with a splash. Pack snacks. Yes, that’s right. This is a Museum that not only allows you to bring your own food, but also encourages it. There is a small vending area in the Museum but not a full-service café (unless you count the Town Market and Café areas, but the food there isn’t edible). Guests are invited to pack their own snacks and drinks to enjoy in a specially designated eating space. By packing nutritious snacks, or even lunch, you can extend your stay and prevent meltdowns from hangry kids (and hangry adults). Take in a live show. 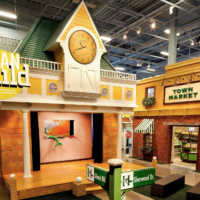 From story time and daily dance parties to puppet shows and science experiments, this Museum knows how to entertain its young visitors. Check the daily schedule to find times for each show. Check out Aunt Sarah’s Attic for a little peace and quiet. Located between Level 1 and 2 of the Museum, Aunt Sarah’s Attic is a charming respite for kids and parents in need of a little downtime. The space is decorated to feel like you are truly in a unique alcove of a special relative’s attic – full of old-timey relics and the like. Here, you can take a few moments to read quietly or calm a tantruming tot before getting back to the action. With crafty kids, plan to spend a while in I CAN Create. A large open art studio, this area provides unstructured opportunities for kids of all ages to cut, glue, fold, paint, sculpt and sparkle. If you need more guidance, there are regular daily arts and crafts projects where staff assist children. Have a relative’s birthday coming up? Put your kids to work creating a crafty keepsake that can be given as a special gift. Make use of the I CAN Grow area. 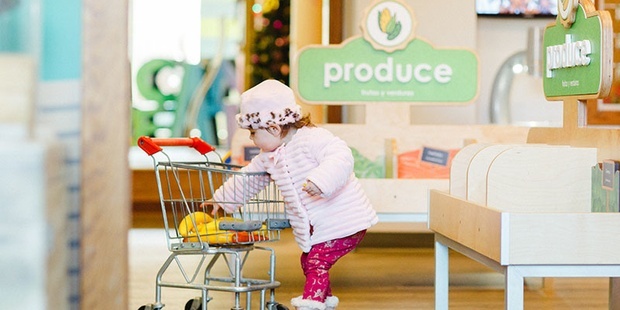 This special space on Level 1 is specifically designated for children ages 0-36 months. It features soft-play areas for safe crawling, bugs to ride, a playhouse and giant-sized giggling flowers. 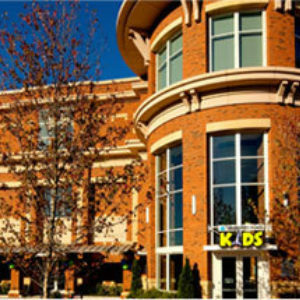 Cost for a single-day visit to Discovery Place Kids-Huntersville is $10 per person. If you loved your visit and plan on returning more this year, we recommend purchasing a Family Membership for the greatest value. (You can even tack on a guest/nanny pass for an additional $25 per year in case someone else will be taking your child to the Museum!) 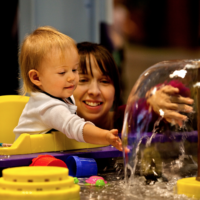 There is also the option of becoming a Member at all four Discovery Place Museums, another great money-saving option that allows for even more learning fun.